I read this article and found it very interesting, thought it might be something for you. The article is called Niamh Barry: Light on Earth and is located at https://www.totallydublin.ie/event/niamh-barry-light-on-earth/. 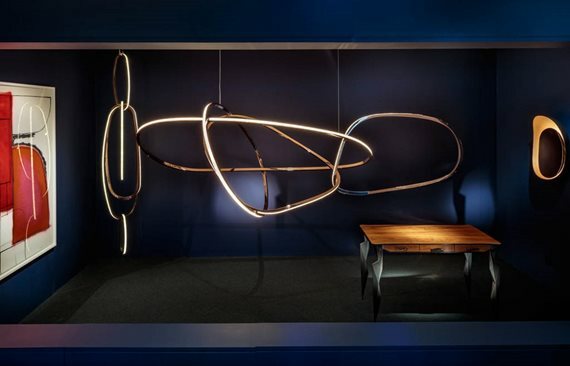 Barry creates unique light sculptures in bronze and LED. An NCAD graduate in 1991, Barry’s work dates from lighting commissions for the Cellar Bar in the Merrion Hotel in 1997 right up to a recent one entitled Model of Vessel Scape which can be seen in the lobby of the Central Bank. Branching into ‘edge lit’ Barry blurs the lines between design, luminism and sculptural lighting. There’s elegance, beauty and intrigue to her work which will may make you reconsider our fixation on exposed bulbs being considered the height of now.